13.56mhz NTAG® 215 Woven NFC Bracelet embedded with NTAG® 215 chip, 504 byte memory can encoding a long URL or information in. 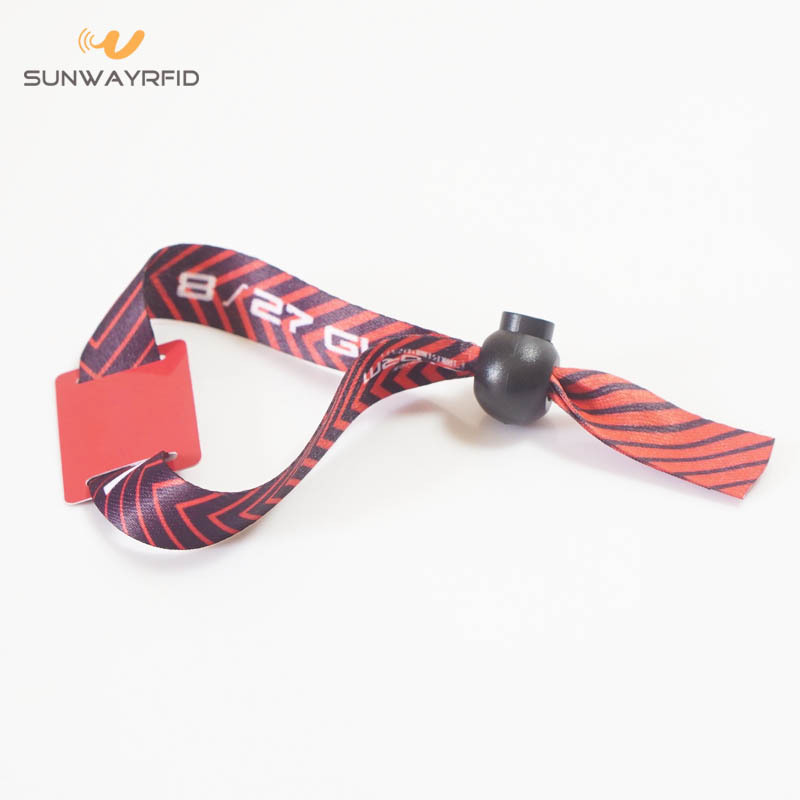 This NFC bracelet popular using for cashless payment activities, or for VIP. 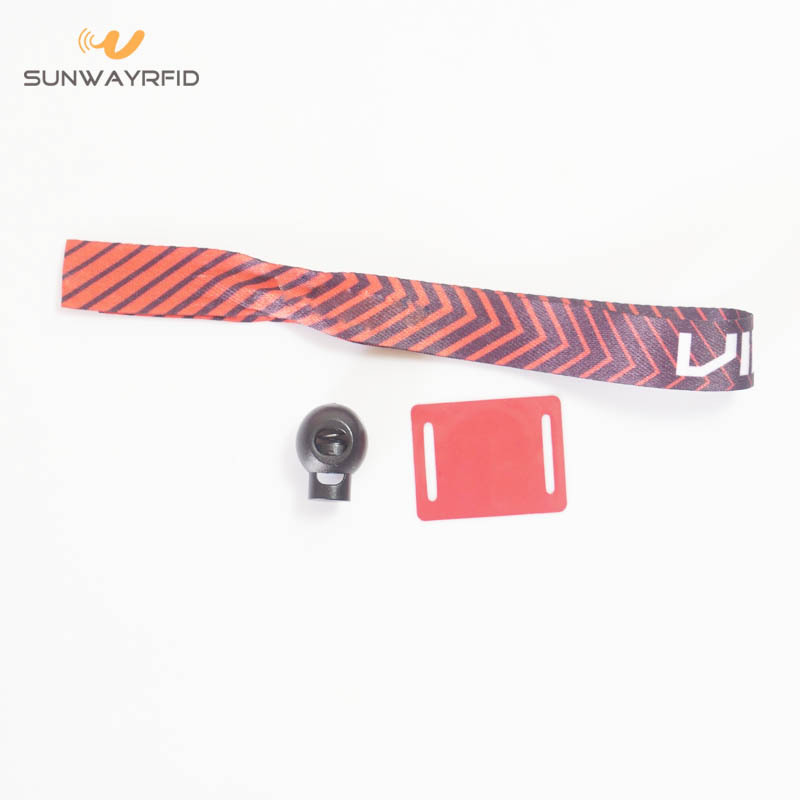 The small nfc tag to the bracelet would be in hard PVC or PET, also soft PVC or PET too, surface can cover the bubble to make it look more nice. 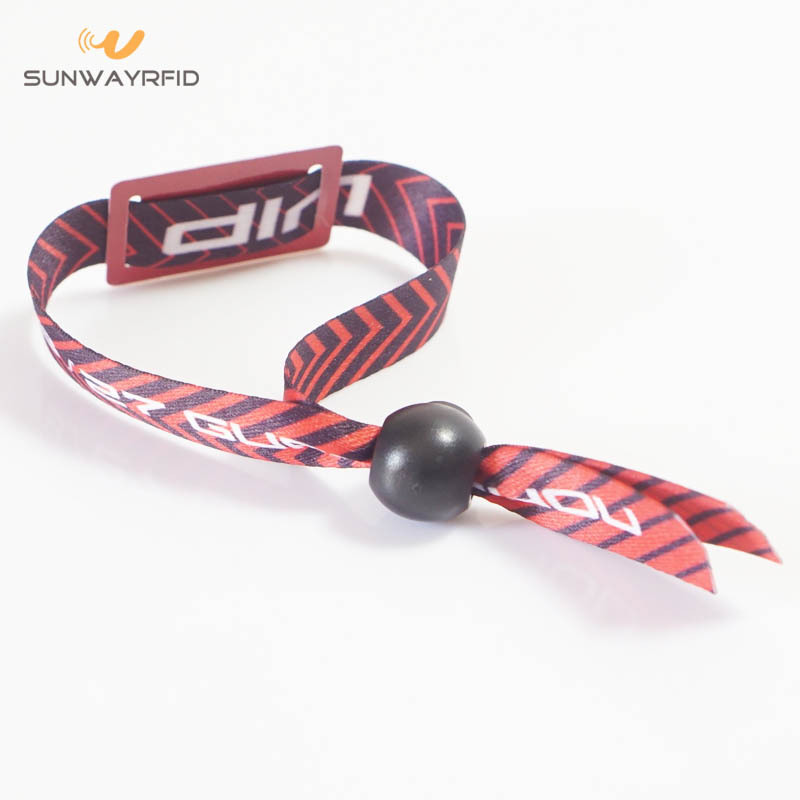 SunwayRFID provide custom logo printing on the woven nfc bracelet, 10 days lead time for 5K. Need QR code or variable datas or URL encoding to the NTAG® 215 Woven NFC Bracelet? Just shoot us an excel file, we can help you! Looking for ideal NTAG215 NFC Bracelet Manufacturer & supplier ? We have a wide selection at great prices to help you get creative. 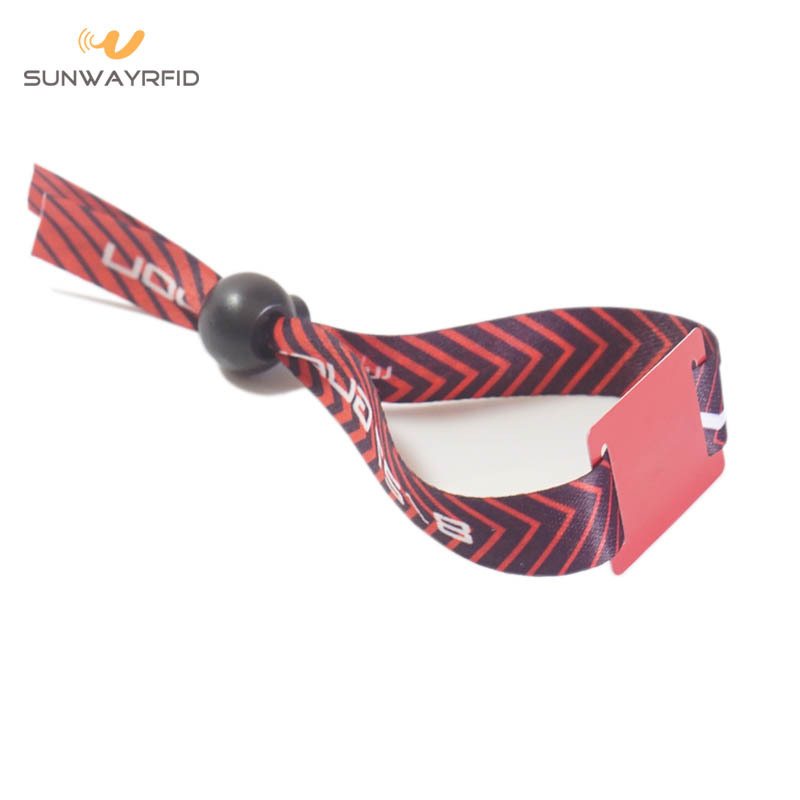 All the NTAG215 Woven Bracelet are quality guaranteed. 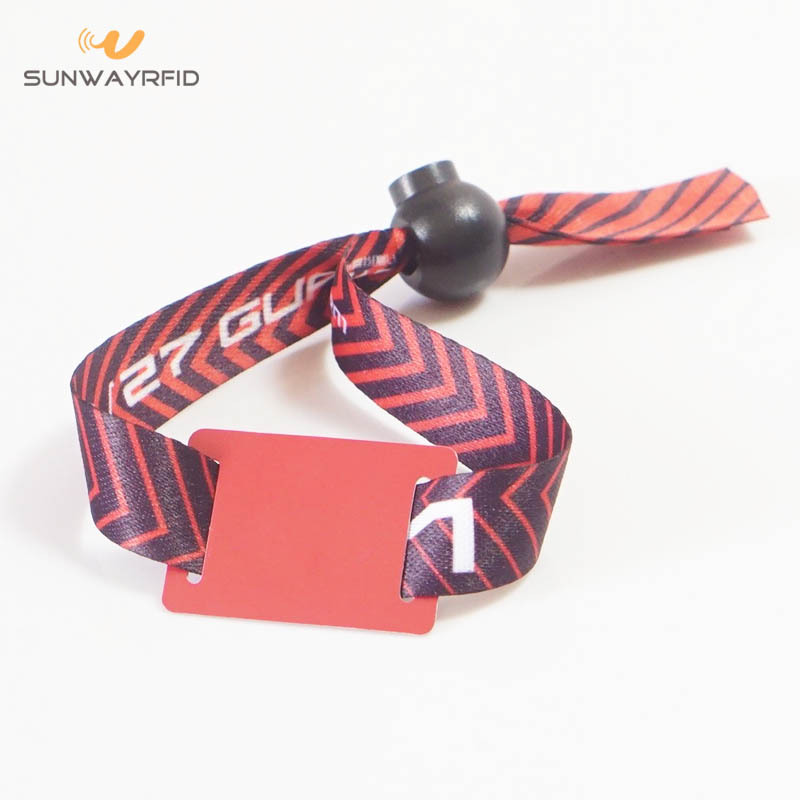 We are China Origin Factory of NTAG215 Woven NFC Wristband. If you have any question, please feel free to contact us.